Trouble viewing this email? View this in your browser. Tune in for another Minnesota Agriculture in the Classroom Facebook Live Virtual Field Trip! We will visit the Wittenburg Turkey Farm near Alexandria, MN. This farm is home to the 2017 Presidential Turkey Flock. Find out what goes into raising and preparing the Presidential Turkeys for their trip to the White House. The virtual field trip will be broadcast through the Minnesota Agriculture in the Classroom Facebook page at 10am CST on November 16th. Teachers, tune in with your classrooms and ask the turkey farmer questions live! 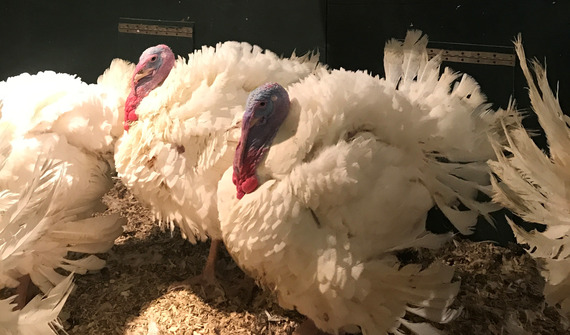 Visit mn.agclassroom.org for the Presidential Turkey Teacher Resources including lessons and activities that enhance the Virtual Field Trip experience. 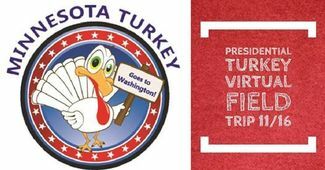 Check out minnesotaturkey.com/presidentialturkey for all things turkey! Visit the Minnesota Agriculture in the Classroom Facebook page at 10am CST on November 16 to watch. Why did you want to be a part of the MN Ag in the Classroom team as a Regional Ag Literacy Specialist and what region/area of MN are you in? I feel it is very important that all people have a basic understanding of agriculture, know where their food comes from and also understand the vast amount of jobs available in agriculture. Minnesota Ag in the Classroom is a great vehicle to reach those goals. I am hoping to help schools/teachers become aware of the resources available to them through Minnesota Ag in the Classroom. 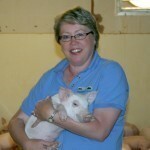 I am a Regional Ag Literacy Specialist in the southern part of the state. 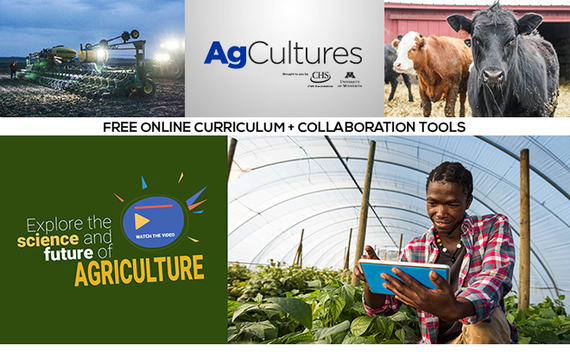 You're invited to participate in AgCultures, a new, free online education program designed to spur middle and high school students' interest in, and knowledge of, the many facets of agriculture. The AgCultures team is undertaking a series of expeditions over three years that capture extraordinary stories about the future of agriculture from scientists, farmers, and technological innovators around the globe. The team departs for South America November 5 and will be sharing updates and videos direct from the field. Educators have access to a free online learning environment with a STEM-focused curriculum tied to issues the team is exploring, along with a free classroom management system. The curriculum and activities included in the AgCultures online site will grow with each new expedition. Students worldwide can Take It Local and share their own story as they work online alongside the AgCultures team investigating the world’s food puzzles. AgCultures Expedition 1: The Mighty Mississippi followed the production and flow of major grains from the Upper Midwest down the Mississippi to New Orleans. The AgCultures team visited farms, boarded tugs and barges, and captured a wide range of stories and careers tied to agribusiness as they made their way south along the river. Join the AgCultures team online for Expedition 2: South America beginning November 5. They'll be sharing updates and videos direct from the field in Argentina and Paraguay! Sign up for email updates, and join the AgCultures team online today! If you are taking a K-6 class on a field trip to a dairy farm in the near future, apply to receive our Dairy Farm Field Trip Teacher Pack. This teacher pack includes two dairy focused books: Clarabelle: Making Milk and So Much More, Extra Cheese, Please!, a class set of our Diary Farm-to-Table poster, and grade appropriate lesson plans and activity ideas that could extend dairy-themed learning beyond the field trip experience. We have just five of these teacher packs remaining so please apply as soon as possible! Thank you to the Professional Dairy Producers Foundation for making these teacher packs possible! How much science can you find in a shopping cart? Join us on Thursday, November 16, 2017, from 5:30-7:00 pm CST, and engage your students with STEM through the science of food, including how it’s grown and processed for consumption. Last month's trivia question answer is Zea mays. The winners who received a MAITC reusable grocery bag are Lisa Deyo and Julie Kovacik. November Trivia Question: Soybeans are another important MN crop. Where does Minnesota rank nationally for soybean production? The first two people to reply with the correct answer will win a MAITC reusable grocery bag!